Brava Beach is one of several beaches in Punta del Este that appeals to a wide variety of tourists. This is one of the beautiful beaches where people can come and enjoy the beauty and mystery of the ocean from the relative safety of the shore. Rio de la Plata or the Atlantic Ocean. According to the location the beaches are known as Mansa and Brava. These waters come together and create a number of environments for swimmers and those looking to try surfing in Uruguay. The conditions offshore range from dangerously treacherous currents to shallow pools of water which are both calm and serene. All of the Punta del Este beaches are open to the public and this includes the magnificent sands of this beach in Punta del Este Uruguay. This shoreline extends out from the tip of the peninsula and there is ample parking available. 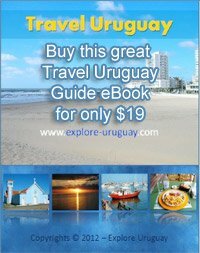 The beaches are a favorite destination for the local people of Uruguay and you will find that many of them come to the shores just to watch the sun rise and set each day. The colors of the sky as the sun approaches the edge of the horizon create a beautiful swirl of shades including dazzling hues of pink, purple, red, orange and yellow. Brava Beach in Punta del Este is now one of the most famous of all the peninsula shorelines. The waves are strong enough to attract top surfing enthusiasts and fishing is also one of the main Uruguay tourist attraction that many visitors can enjoy. Perhaps one of the main features that distinguishes this beach from other nearby Punta del Este coastal settings are the amazing, sculpted Fingers that can be seen jutting out of the sands. This sculpture is known as Monumento al Ahogado and made its debut in 1982. It was created both as a landmark to honor those who have been lost at sea and as a warning sign for those who want to dare the rougher, dangerous waters that can be found off the shore of Brava Beach. Visitors who travel to Punta del Este can be assured of an exciting day of adventure, fun and enjoyment. The sand is thick and comfortable to walk upon, the spray of salty air is always crisply refreshing and the scenic views are simply magnificent. There are a number of shops and restaurants that are found nearby and other beaches such as the Chilean, Chiringo and Beach of the Englishman are located only a short distance away.